Nora is telling her story and going full Barry voiceover. Her superhero name is Excess. Back to the party. She knows all of them, she’s the one who helped with the satellite, she’s now stuck in time, and Iris gave her the nickname because she did everything to excess. Also, Ralph has not been briefed about time travel and Cecile can read her baby’s mind. While she’s training at S.T.A.R. 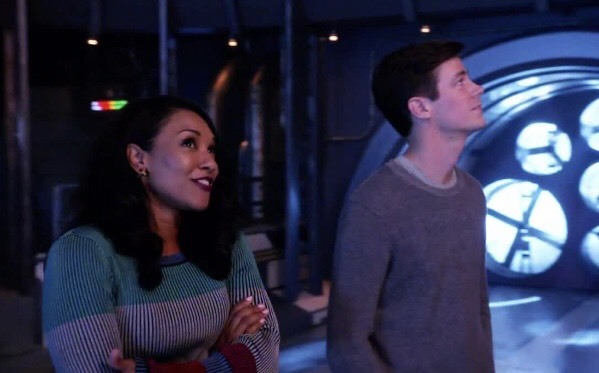 Labs, Barry and Iris talk about the weirdness of it all. Nora slows down long enough for Caitlin and Cisco to hook her up with some medical stuff. 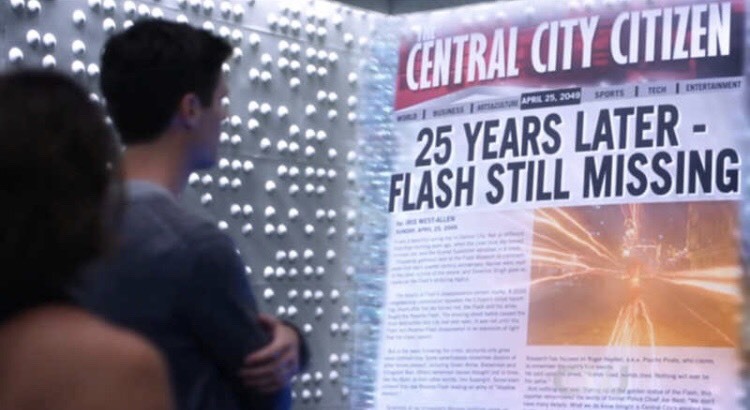 Barry remembers to tell her not to spoil the future so as not to mess up the timeline, and then she starts running again. Cisco is super hungover, and possibly still drunk from the party. Wally goes to find the Legends just in case something super weird is going on. Barry is late for work, and he has a long backlog of cases. Nora shows up and wants to help. She’s a CSI too. 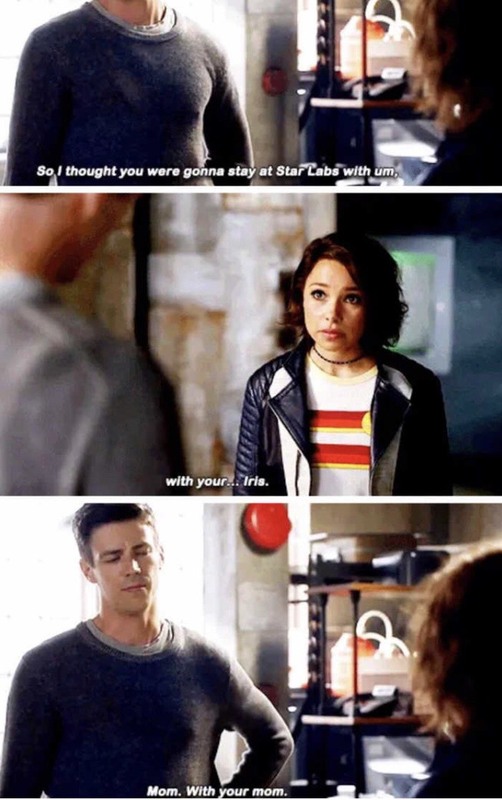 Barry wants her to go back to S.T.A.R. Labs and they end up talking about ice cream until he gets word of a robbery on the police scanner. Nora brought him a throwback suit. He tells her to stay. She doesn’t and screws up the whole thing. Back at S.T.A.R. Labs, she tries to explain herself. His name is Gridlock and he was supposed to be a one and done. She knows this from the Flash museum. Unfortunately, all their real names were removed for legal purposes. Caitlin suggests that they use the tachyon absorption enhancer from the time of Zoom to propel her home. Ralph is so incredibly behind. 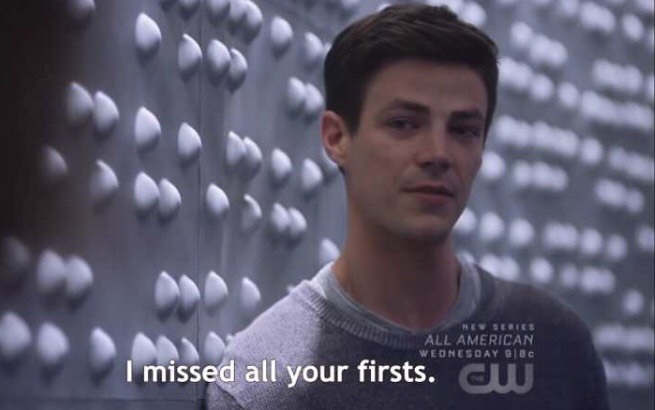 Barry goes to CCPD and tells Iris to watch Nora. They go get coffee, which is super awkward. Iris is trying so hard to be a cool mom and it’s obvious that Nora just wants out. Caitlin and Cisco hook her up with the tachyon absorption enhancer. She’s still having trouble with spoilers, so they really need to get going. She gives Barry a big hug and is as cold as the fandom to Iris. 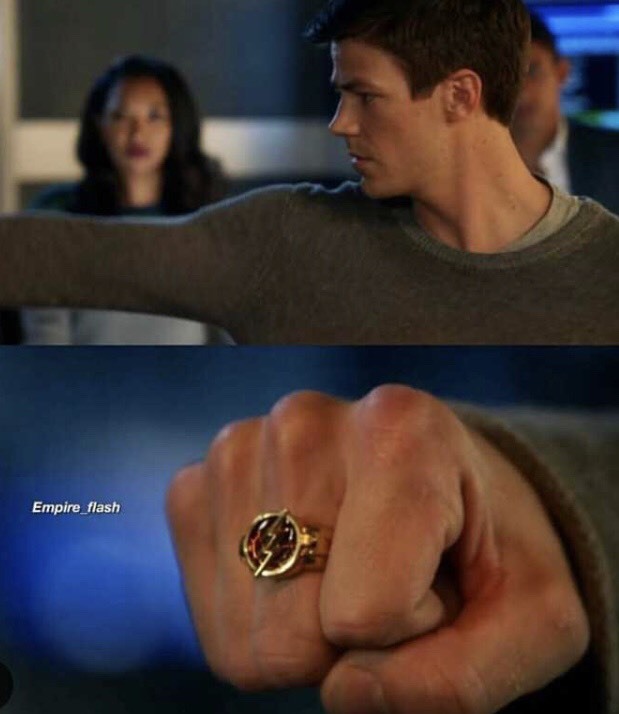 Then Barry and Nora start to run. Wally comes in too late to say that they have to be stopped. They run into some sort of barrier and both lose consciousness. In the infirmary we find out what’s going on. There are negative tachyons saturating Nora’s body and preventing her from going into the speed force. She can’t go on the Waverider either because the negative tachyons would vaporize the ship. Caitlin and Cisco have a plan to offset them. 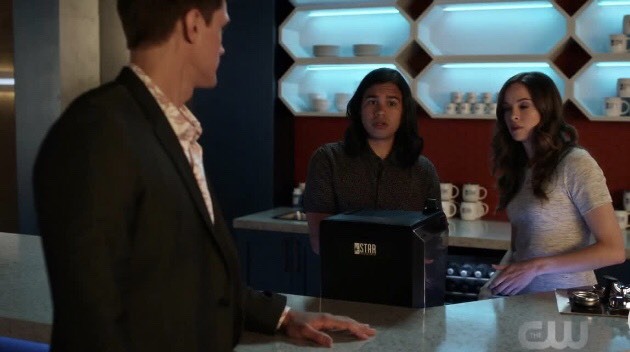 Caitlin, Ralph, and Cisco go to the robbery scene. Ralph is behind on more than just time travel and Caitlin explains about Killer Frost. Cisco detects an anomaly with the dark matter readings. They grow with each successive hit. Gridlock harnesses kinetic energy. Barry and Iris talk. He feels like they skipped everything, all the firsts that they were supposed to have. Iris views it more as gaining something than losing. It’s experience building. Barry has a thought and leaves. He finds Nora in Cisco’s lab. Nora then shows him the paper in the future room. He disappeared and never came back. She doesn’t have any memories of him. She stole the reverse tachyon tech from the museum so that she could see him. He never got any of those firsts, which is so completely unfair. Y’all know Barry would be the best dad ever, as evidenced by how sweet he is to Nora here. Caitlin interrupts and says that he’s needed. They found Gridlock. His real name is William Lang and he just got on a plane. He’s gonna crash it. He zaps a guy and the plane catches fire. One of the engines is gone. It’s headed for downtown. Nora says that they can phase the plane through buildings, but Barry says it’s too big. 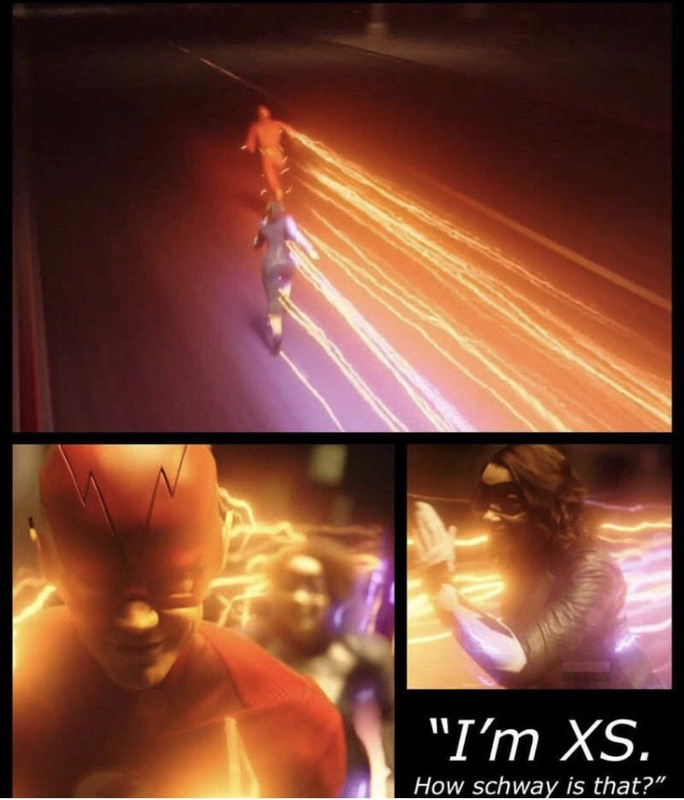 All three speedster might be able to do it, but Nora’s never phased before. There’s about ten seconds where zero g’s will be exerted on the plane and Gridlock will have no power. Cisco can breach them onto the plane. Nora has a new suit for him, which she also took from the museum. 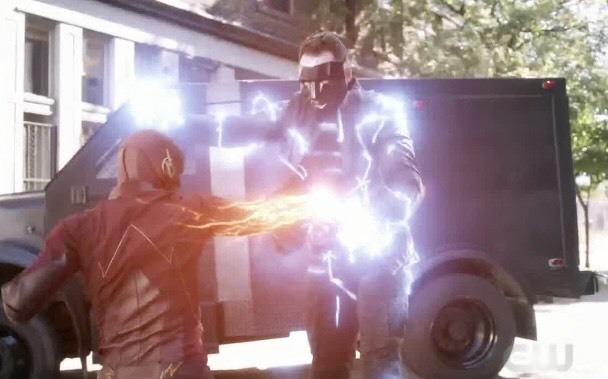 It comes out of the Flash Ring and this scene was so cool!!! Cisco breaches there, waits for them, and breaches all three speedsters onto the plane. Barry uses Thawne Wells’ words about phasing to teach Nora how to phase. It works and they phase the plane through all the buildings and into the water. Gridlock is on his way to jail and all is well. Caitlin and Cisco have created an updated tachyon absorption enhancer, but Barry wants to hit pause on sending Nora back. He wants to be there for his daughter which is cute, but he hasn’t told anybody else anything. Nora shows them a part of the lab that only Joe knew existed called the lounge. Joe, Nora, and Wally talk. Wally’s going to go back and find himself because goodness knows they don’t know what to do with his character. Barry and Iris talk, but not about how Iris was essentially a single parent in the future. Ralph, Caitlin, and Cisco talk. Ralph found Caitlin’s dad’s death certificate, but it’s a fake. He could still be alive. Barry and Nora go get ice cream. The truck carrying Gridlock is hit by a lightning spear. A glowing ball of light appears. It’s a person, Cicada, who may or may not be Caitlin’s dad, that kills him. I’ve missed this show and there were so many cool moments in this episode! Nora’s a tiny bit annoying, but maybe she’ll mellow. 8/10.